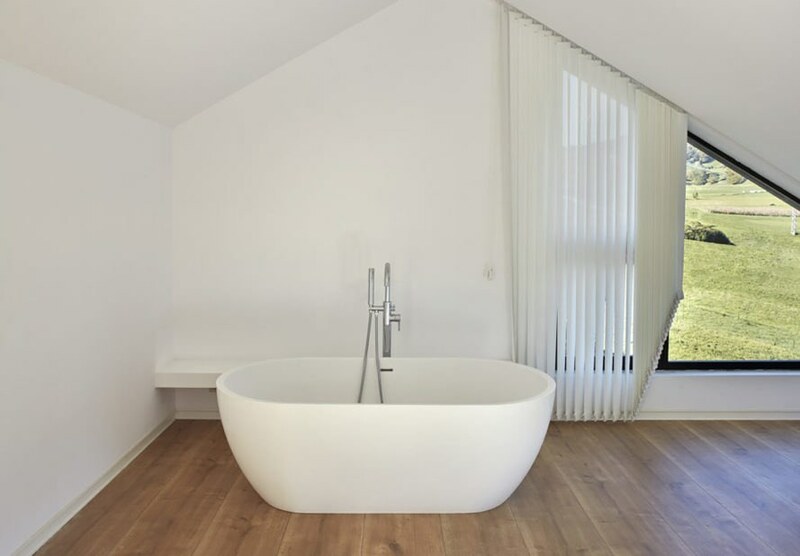 It took less than four months to build this modern prefab home in a factory, and only five hours to assemble it on-site. 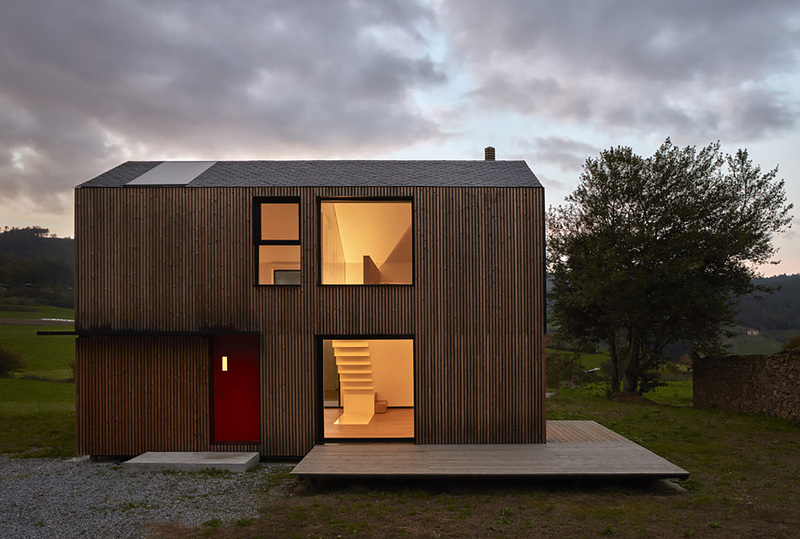 The minimalist modern abode is set in Valdés, a small town in Asturias, northwest of Madrid. Studio [baragaño] designed the Montaña House as a stylistic mix between a traditional home and the granaries found throughout the area. The designers drew inspiration from the architectural style of traditional residential architecture of the region, as well as granaries built in wood and raised on pillars, typical of the Iberian Peninsula. It was constructed in less than four months in a factory in Madrid and transported to Valdés, where it was embellished by a local artisan with a traditional slate roof. It only took five hours in total to assemble it on-site. The house, a residence for an English landscaper and his family, has two levels, with common spaces occupying most of the lower level, and bedrooms accommodated on the second floor. 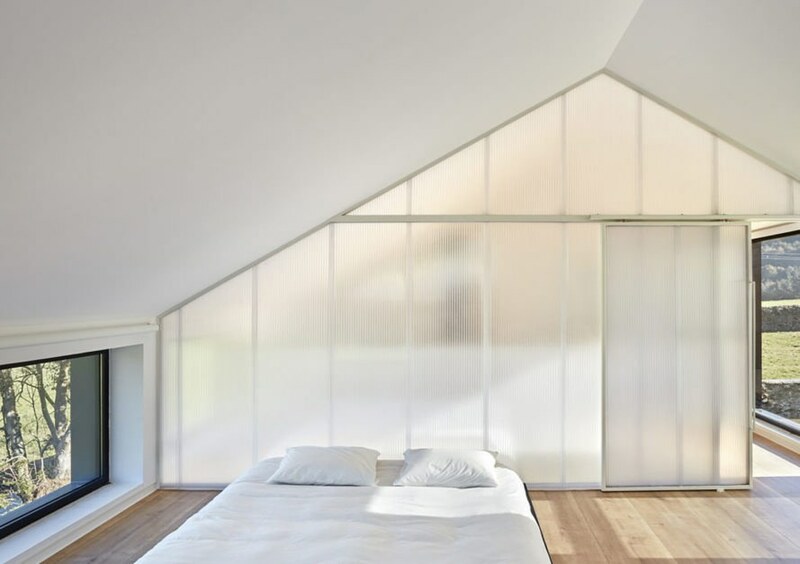 Light polycarbonate panels separate the rooms upstairs, allowing diffuse natural light to penetrate the spaces and give them warmth. The central element of the house is a metal staircase around which spaces are organized. A fireplace suspended from the living room ceiling in another element that gives character to the otherwise minimalist interior. efficiency and beauty. great work. Is this item available in USA or something similar? 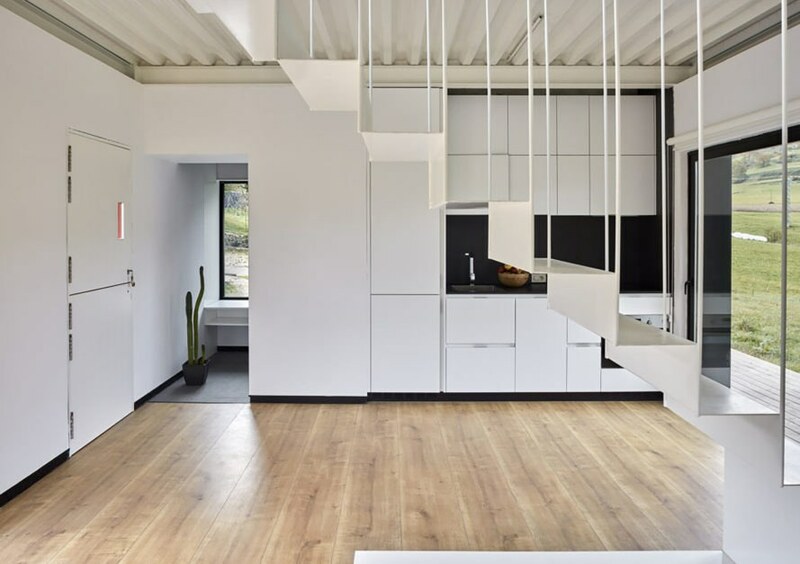 It took less than four months to build this modern prefab home in a factory, and only five hours to assemble it on-site. 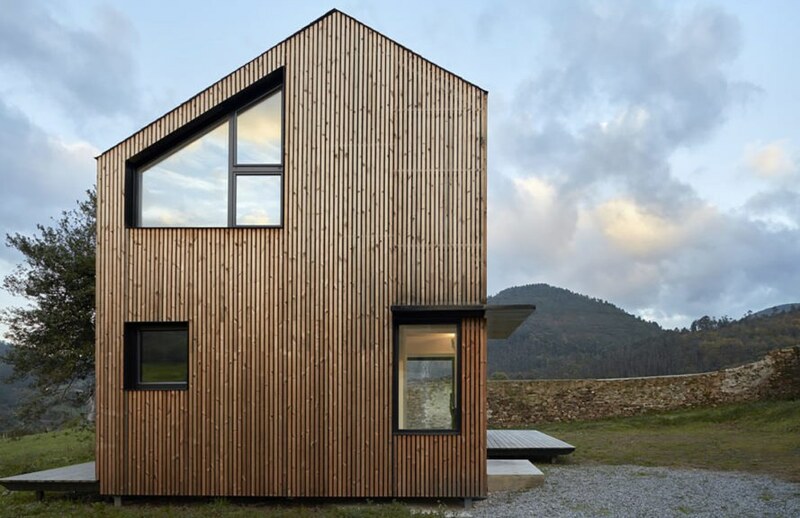 The minimalist modern abode was built in a rustic setting in Valdés, a small town in Asturias, northwest of Madrid. Studio [baragaño] designed the Montaña House as a mix between a traditional home and the granaries found throughout the area. The designers drew inspiration from the architectural style of traditional residential architecture of the region, as well as granaries built in wood and raised on pillars, typical of the Iberian Peninsula. 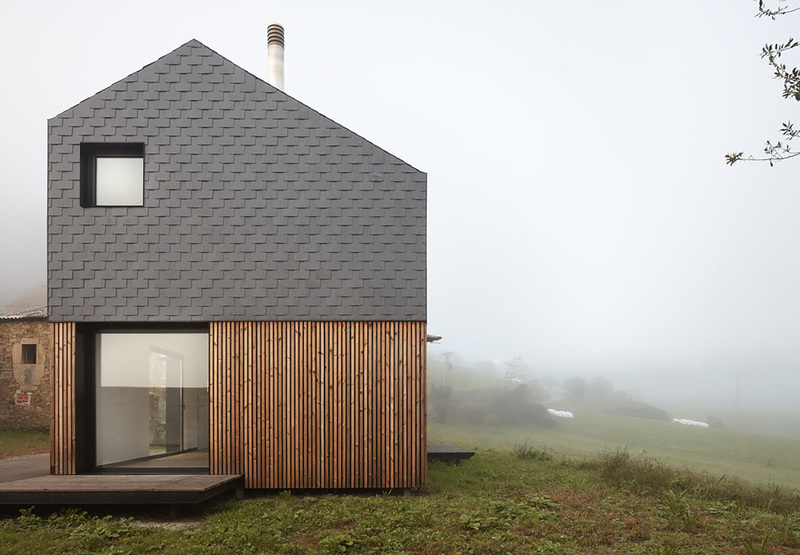 It was built in less than four months in a factory in Madrid, transported to Valdés, a small town in the Asturias, northwest of Madrid, where it was embellished by a local artisan with a traditional slate roof. It only took five hours to assemble it on-site. The house, home for an English landscaper and his family, has two levels, with common spaces occupying most of the lower level, and bedrooms accommodated on the second floor. Light poly-carbonate walls separate the rooms upstairs, allowing diffuse natural light to penetrate the spaces and give them warmth. The central element of the house is a metal staircase around which spaces are organized. A fireplace suspended from the living room ceiling in another element that give character to the otherwise minimalist interior.